Each year, an average of 65 NIGMS-funded principal investigators move to new universities or other institutions. With everything else they need to do, they sometimes neglect to consider how the move will affect their grants, or they start the process too late. When they try to hire staff or purchase supplies in the new location, they may discover that grant funds are not available. Remember that your grant is made to an institution, so you will need to involve your current and your new institutions early on to make sure that your transition is smooth. You also need to be in touch with NIGMS staff early, allowing enough time for us to review any move-related change that requires NIH approval and, if approved, process it. When you begin plans to change institutions, contact your NIGMS program director and grants management specialist to discuss the timing of your move, options for managing your grant through the transition and the possible impact of the transfer on your research. Some situations don’t require the transfer of your grant at all. NIGMS staff can help you find the right solution for your circumstances, including the management of consortium arrangements and the involvement of animals or human subjects. If you do want to transfer a grant to a new organization, you should contact NIGMS staff well before the anticipated start date at the new institution. Both your former institution and your new one will need to submit information to us before the grant can be moved and you can draw funds. We recommend providing all required materials at least 3 months in advance of the move. 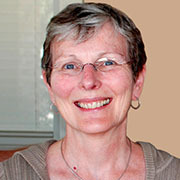 Before her retirement in December 2014, Irene was our expert on evolutionary biology and managed scientific programs to develop models of disease spread as well as models of scientific workforce dynamics.